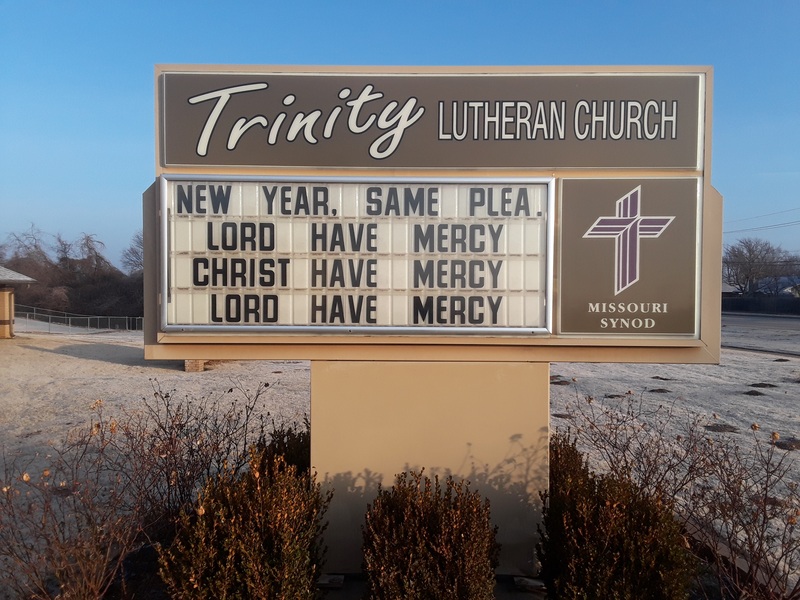 Our congregation (Trinity, Broken Arrow) just got a new, electronic sign; and we are hoping to give away our old sign for free to an LCMS congregation. The old sign is in very good shape and originally cost us around $7,000. [See attached picture.] The congregation taking the sign would be responsible for moving costs and installation. I am hoping that a congregation in Oklahoma is interested. If not, I will probably advertise in the Reporter. If interested, please call Pastor David Cloeter at 918-694-1364 (cell) or 918-455-5750 (church). Zion Lutheran Church, OKC is offering their 15 passenger van for sale. Mileage: 38,678 (Yes! Actual!) And its been garaged all of its life.